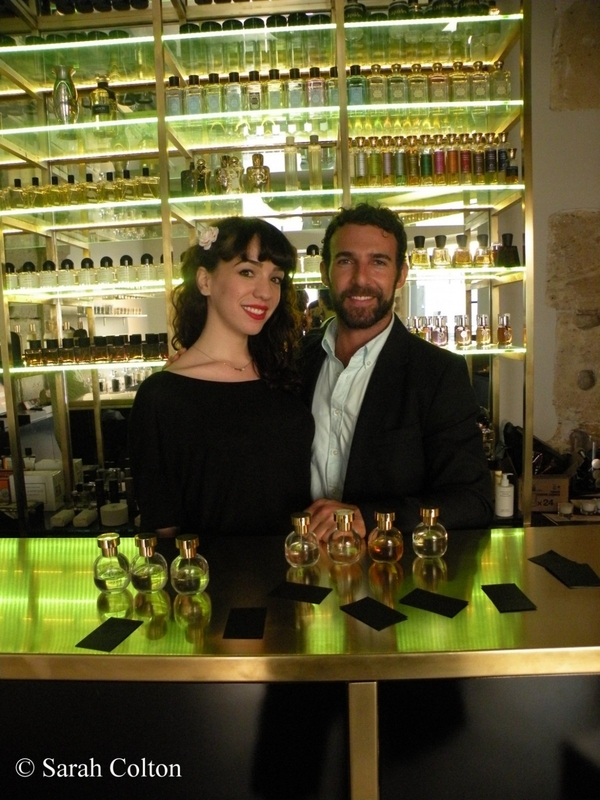 I caught a glimpse of Arquiste’s creator, Carlos Huber, at Liquides perfume bar in the Marais last week. Fresh from being honored as a Top Five Fifi Finalist in New York for Boutonnière no.7, Carlos has been touring Europe, visiting friends and shops. We spent a late afternoon conversing with Marie, la charmante Marie, behind the Liquides counter, about Arquiste’s success and why ‘Flor y Canto’ is the favorite Arquiste fragance among the French….seems to be about an exotic and joyous tuberose with an animalic and disturbing something lurking beneath the surface…. I also sense “something beneath the surface” of Flor y Canto, and it is something I definitely want to experience even more…Would like to keep this perfume a secret, but fear it is too late. Looking forward to more to come.